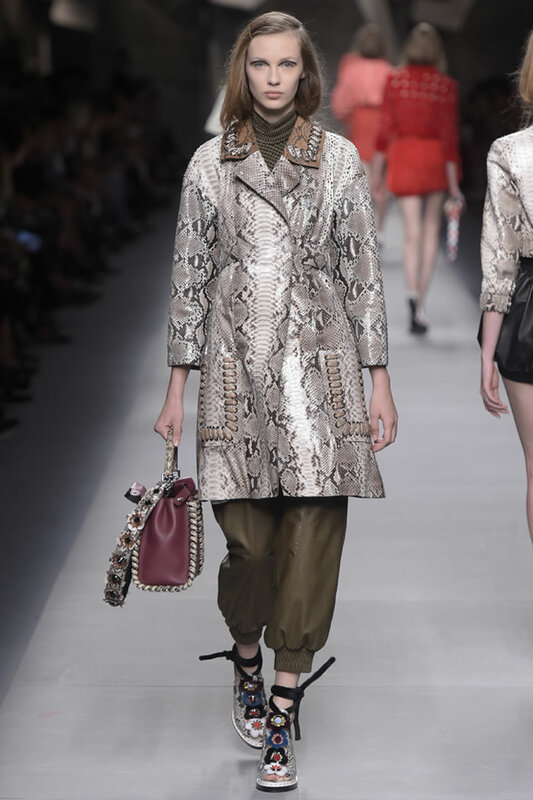 Karl Lagerfeld is famously antiretro, eschewing all things remotely Sixties-Seventies on his runways. 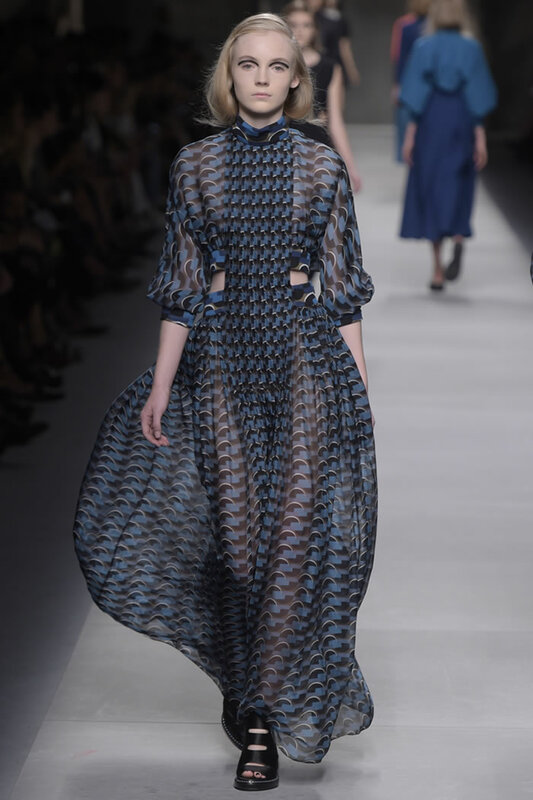 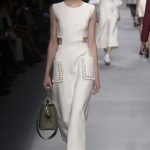 Backstage before the Fendi show, he reiterated his dislike, noting that for spring, he preferred to focus on proportion. 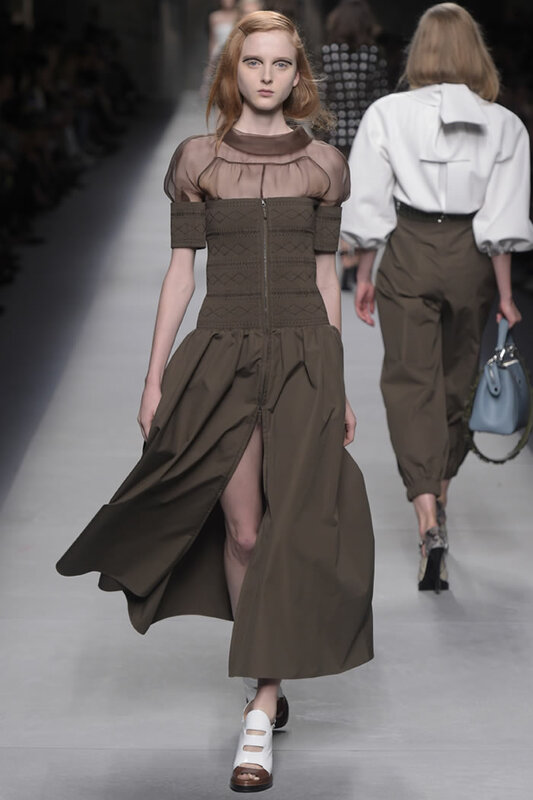 That didn’t preclude a savvy pillage of a more distant past, the Renaissance, including a juxtaposition not of tough and tender (no gentle maidens here) but tough and womanly. 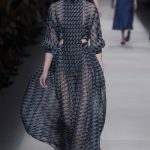 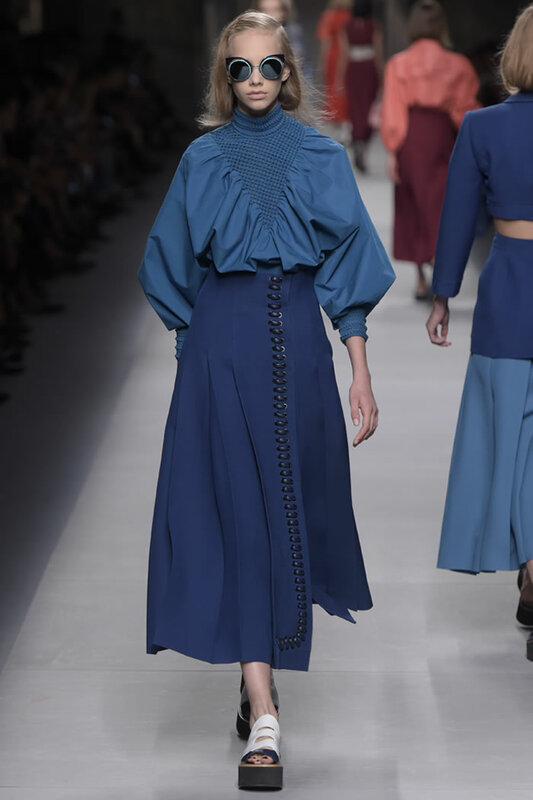 The result was a collection that celebrated an au courant power woman, one who announces her presence with graphic precision and often a crisp swish of sturdy fabric. 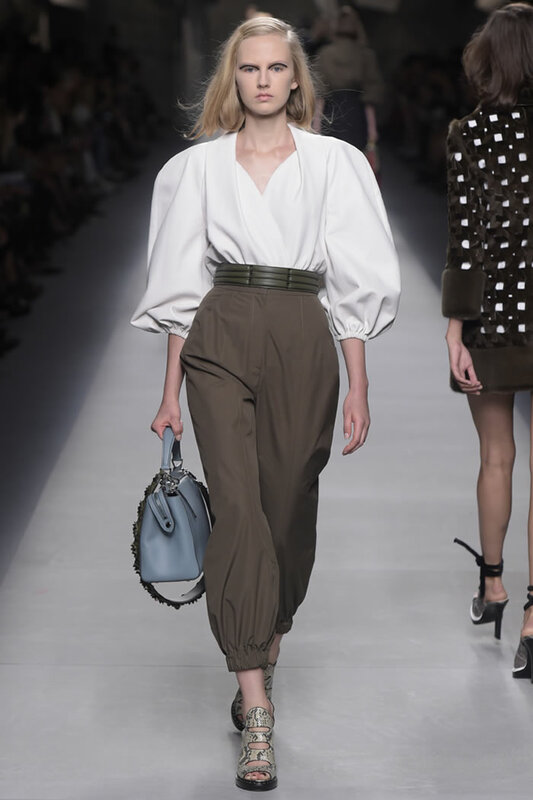 And if the occasional whipstitched leather harness breastplate overstated the aura with unnecessary ardor, more often this lady swathed herself in smart, controlled chic. 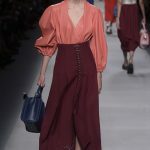 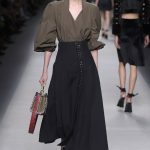 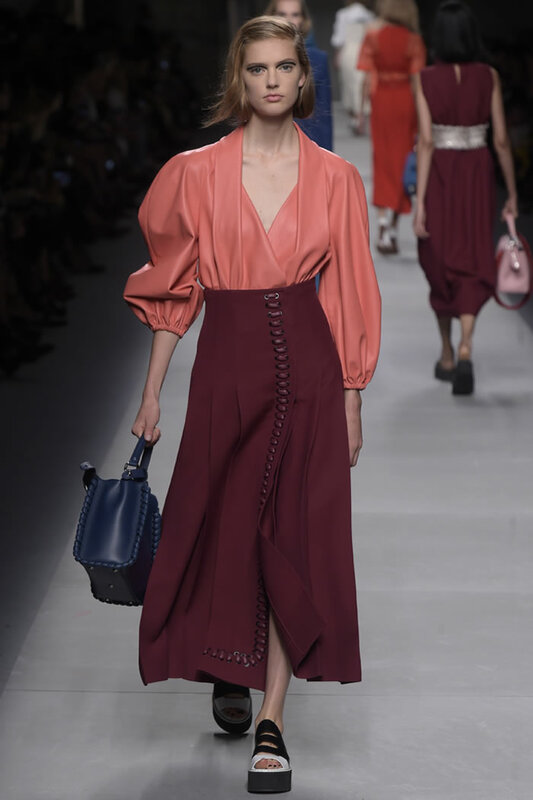 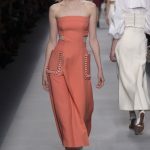 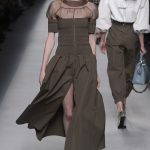 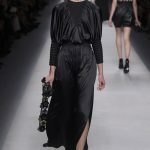 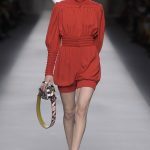 Silhouettes were diverse: rompers with balloon pants of courtly proportions; full-skirted dress-over-blouse combos that worked a milkmaid attitude; short, A-line looks with a crusader vibe. 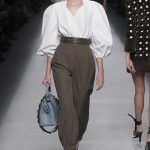 At a time when intricate surface decoration is everywhere, Lagerfeld shifted into reverse, preferring strong details that swung earthy rather than precious. 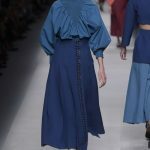 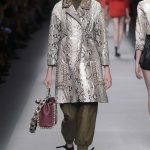 Macro-stitched leather and cording outlined coats and held brazen external pockets in place while smocking (or so it looked from the runway) gripped wrists and waists of the lineup’s more fluid looks. 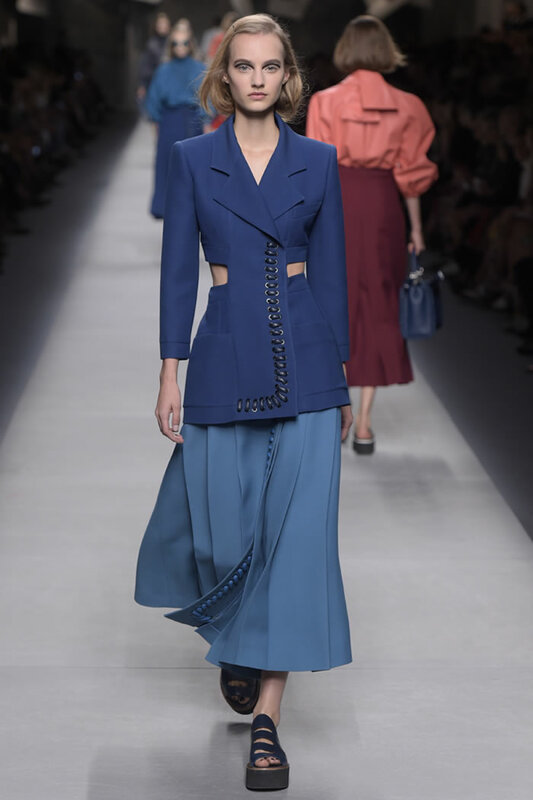 At times Lagerfeld opted to subtract rather than add, slicing circular strips from the waists of coats and dresses for graphic impact. 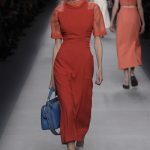 As for the bags, Silvia Venturini Fendi worked the spare graphics and then some. 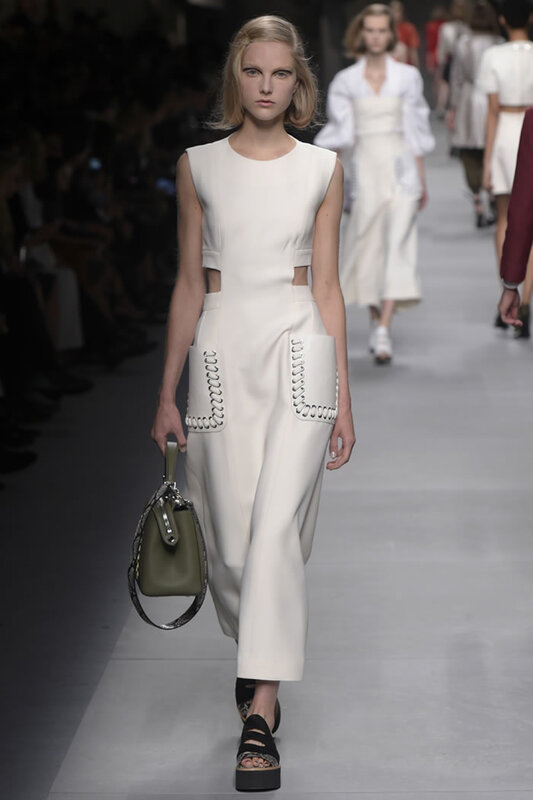 The dot on her new Dot Com bag wasn’t just for show; it fastened to a detachable inside clutch. 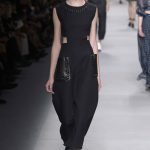 A case of function-meets-fashion in the smartest sense - and a power woman’s delight.